At Designer Smiles Dentistry in Missouri City, we try to provide the widest range of dental insurance possible. Most teeth cleanings are covered 100 percent! 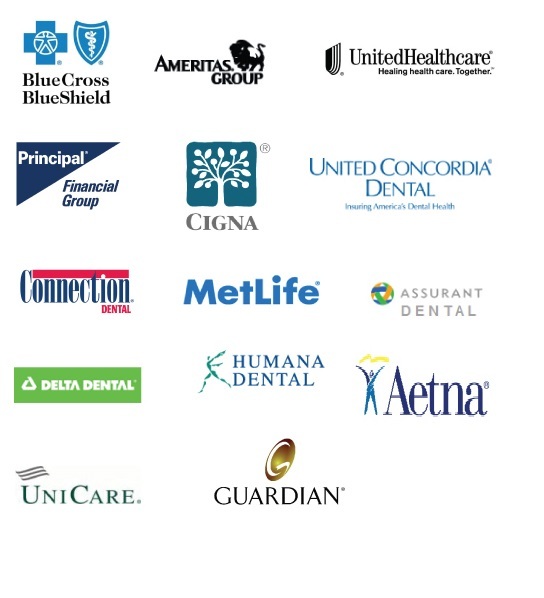 Find out more about what your dental insurance can do for you here. Your Insurance Not Listed? Call Kelly in Missouri City to verify your coverage: 281-206-4444 . For patients who do not have dental insurance or are looking for financing for elective or cosmetic dentistry, we offer care credit patient financing. We will work with you however we can to make sure that your dental needs are covered and affordable. At Designer Smiles Dentistry, we treat our patients like family.